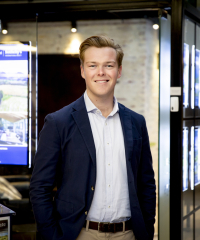 Nick has joined the New Zealand Sothebyâ€™s International Realty team and is now selling residential property in and around Queenstown. His interest in real estate began at a young age given a strong family background in property. Having travelled extensively he has developed a positive and open minded approach to people and business. Nick completed his schooling in Melbourne, Australia and finished off his studies at the University of Sydney with a degree in Arts and Science. His love for snow sports and adventure makes Queenstown the ideal place for him to kick off his career in the industry. He also has a sound understanding of the local property market and with his enthusiastic and honest work ethic he looks forward to building many long term relationships with clients. Please call Nick for a complimentary market appraisal or for any enquiries you may have.